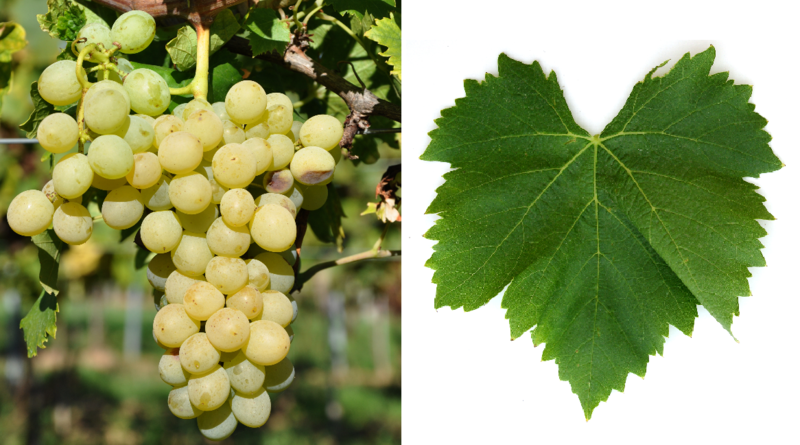 The white grape comes from Greece. Synonyms are Agriostaphylo, Amasia, Amasia Blanc, Amassia, Cheimoniatiko, Chimoniatiko, Dopio, Foustani, Karatsova Naousis, Karatzovitico, Karatzovitiko, Ntopia, Opsimo, Opsimo d'Edessa, Opsimos Edessis, Opsimos Lefko, Pandiri, Pascalino, Paschalino, Pascolino, Raisin de Foustani, Raisin de Karatzova, Staphyli Edessis, Staphyli Karatzavas, Staphyli Karatzovas ( Greece ); Belo Zimsko, Valandovski Drenek, Zimsko Belo ( Macedonia ). It may despite seemingly suggestive synonyms or morphological Similarities should not be confused with the Turkish dessert Amasya. According to done in 2012 DNA analysis it is a presumably natural cross between Parmak Cerven x Achladi, However, this is based on only 20 DNA markers (see under molecular Genetics ). The late-ripening vine is prone to real mildew and Botrytis, It produces low-acid and low-alcohol white wines, which are also suitable for traditional Harz wine Retsina be used. The variety is mainly as table grape used. It is located in northern Greece in Macedonia grown. Small stocks are also in the adjacent Macedonia, In 2010, however, no stocks were reported (Kym Anderson ). This page was last modified at 20 April 2018 at 08:43.